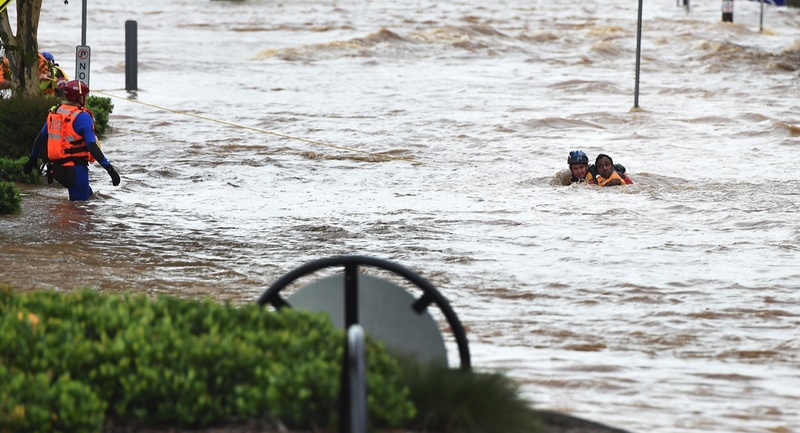 Extreme weather conditions have battered parts of Queensland and Northern NSW in the last two weeks. Cyclone Debbie tore through Central Queensland last week. However, the natural calamity wasn’t over after the storm moved out to sea. The affected areas continued to suffer with heavy rain and flash flooding across the region, a by-product of the cyclone. The digital media and publishers in the affected areas continued to serve their audiences around the clock. Mediaweek spoke to the editors of two titles who are located in midst of where the natural disaster took place. How has the natural disaster impacted the operations in your newsroom? We were very short staffed as you can imagine. A lot people couldn’t get into work and were trying to work remotely. Four staff members including me were stuck in the office, as we couldn’t get home. We had a little sleepover in the office and we just continued working. 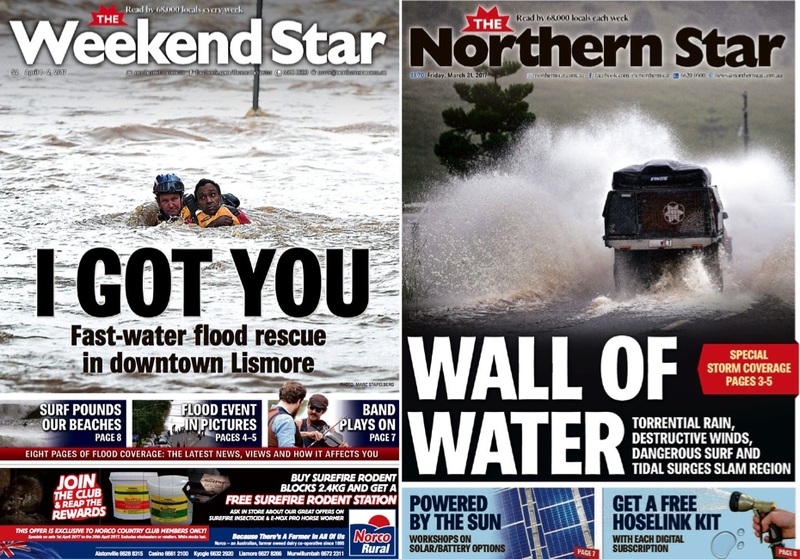 On the worst night, which was on Thursday (30 March 2017), it was raining and there was an evacuation order put in place at about 5pm in Lismore. All the roads were essentially blocked off so we had no choice – we just stayed here and kept working. We had a couple of power surges, but we have a generator here which kicked in a couple of times. But other than that we didn’t have any power disruptions. We were lucky in that regard. We finished updating the website at about 11pm and we were back on deck, the four of us who stayed over at the office, at about 3:30 the next morning. How was the printing of the newspaper affected? Trying to put the paper out was a tricky proposition. The only real hiccup was trying to get the paper back into Lismore because we print in Queensland. All of the Pacific Highway was cut to the north and south of us. For Saturday’s paper, which is normally our #1 seller, we literally had trucks on the Pacific Highway in Tweed Heads waiting for the highway to be reopened to deliver the papers into our circulation area. The paper did get through but it was a bit later than usual. We did apologise for that, but there is nothing we could do about it. 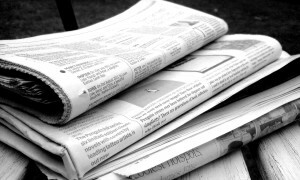 What did the situation show about the role mastheads play in the news mix today? In an emergency people really look to their local newspaper and news website for information. Newspapers are so much more these days. They have websites as well. Our website had a lot of people on it. At any given time, there were 850 to 900 people on the website at the height of the storm. There was a great thirst for information, particularly about road closures, evacuations and what the weather was doing. We have a number of all-seeing, all-knowing and digitally savvy journalists, so we were really able to compete with electronic media when it came to immediacy. We were uploading images, sound bites and videos that we got straight onto the website. We almost couldn’t keep up with the information flow. In a way, the website allows us to compete on a level playing field with electronic media. Essentially we are playing the exact same role as they are. We got a lot of great news leads via social media. We continued to monitor social media and we got some great news leads out of it. There was a person trapped in his house in downtown Lismore. He asked the SES to deliver him some Chicken McNuggets when they had some time. He had a hand-painted sign in front of his house saying that. And the SES actually responded to him saying, “When we get the time we will deliver those chicken nuggets.” He did eventually get his chicken nuggets. That is an example of a story that was unearthed on social media and it took off on the platform just because it painted a lighter side of what was a very serious situation. Do you have any memorable moments coming out of this experience in terms of news reporting? Our photographer Marc Stapelberg happened to be in downtown on Friday morning at 4:30am-5am when the water came over the flood levee. He happened to capture something that really only lasted for about 40 seconds, but it was the most [insane] thing that happened in the floods. There was a person we believe was a homeless guy sleeping on the steps of a church, stuck on one side of the street, which had essentially become a fast-flowing river, and the SES crew was on the other side. They had to perform a fast water flood rescue. That means putting the guy in a lifejacket, then tethering him to a person in a wetsuit, grabbing the guy in a bear hug and dragging them back through the flood waters. That was the most dramatic thing that happened news-wise because it was really a life-saving moment. Apart from our Mackay office, we’ve got two other small offices, one in the Whitsundays and the other in Proserpine. All three were fairly hindered by staff not being able to get in or they were cut off or stranded in their homes. Working with a depleted staff was the first challenge for us. The operations changed in the sense that it became a 24-hour operation. You’ve got to be at the disaster centre for the midnight updates, and you have to be able to work from your laptops in the field and file as you go. There is a much more urgent approach to the day than what the two smaller newsrooms might be used to. There were a couple of days last week where we weren’t sure how many readers’ hands the newspaper was going to get into because the residents and the suppliers were hunkered down by the cyclone. We printed differently to normal on a couple of days last week. The company executives made the decision to move the printing from Townsville, where we print currently, to Rockhampton as the cyclone was forecast to hit close to Townsville. That meant an earlier deadline for us because of the extra drive time. On the worst days, the paper printed in Rockhampton a little after 7pm and was on the road straight away. We had two extra people on the truck for safety – normally that’s not necessary. It arrived in town at around 11:30pm. On a couple of days last week, the newsagents weren’t open so there were two days we couldn’t get to the news stands. That was a bit disappointing for us. On Tuesday (28 March 2017) morning, one of our delivery drivers turned up a couple of hours before the cyclone was due to hit and we were quite surprised to see him. He said, “I’ve delivered your paper for 38 years and today is going to be no different”. These sorts of stories bring to light all the heroes it takes to get the paper out. When you have no phone coverage, no power and no access to the outside world there is something very reassuring about the newspaper arriving on your front doorstep. That’s why newspapers are vital in these times. We are as up-to-date as anybody is. We have rolling coverage online on our website. It’s interesting in these times the roles that different media play. The radio is vital in terms of road updates and power updates for people who can’t access websites or don’t have any phone coverage. But newspapers become that permanent record of what happened. The paper isn’t the only way that people follow our news. We had record numbers on our website. Across the group we had 1.25 million views in one day. 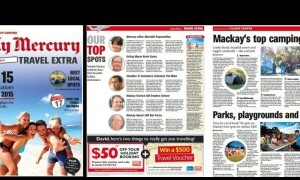 In Mackay alone we had 119,000 stories that were clicked on – that is up from the normal 70,000 we get. Our news was making it to the readers. It was just on a different platform. Do you have any memorable moments coming out of this experience? Mackay wasn’t as bad in terms of power outages as the Whitsundays. They lost power very early. The editor there, Sharon Smallwood, had all the journalists there come over to her house. They plugged in some sort of an inverter into the cigarette lighter in a car to power four laptops (pictured). That was how they got stories out. It was not very good with workplace safety and stuff, but that is what was necessary. [Laughs] There was no other way to get the stories out. They were obviously supported by the central team in the Sunshine Coast as well, because they were doing the bare basics at that point.